Club Penguin Cheats by Mimo777 Club Penguin Cheats by Mimo777: Monsters University: Club Penguin and... Pixar! 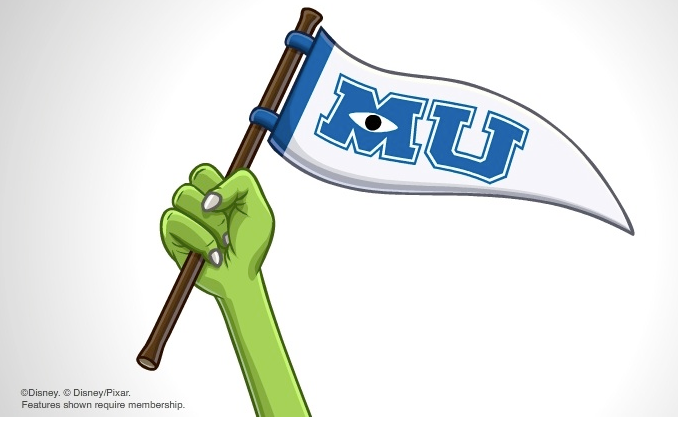 Club Penguin's Polo Field announced today that they are partnering with Pixar for a brand NEW party... the first-ever Disney Pixar Monsters University Takeover! Apparently Club Penguin has always been BIG fans of Pixar and hoped to work with them one day. Welp, thanks to Disney and their no in game advertising, they are going to get to! Does this sound like a good partnership to you? Are you excited to see MU in theaters? Are you even more excited to see MU in CP? OMG!! Yay I love those movies! I cant wait!! Officially quitting now. I think Club Penguin is losing their originality. I'm just wondering, how old is your penguin? As much as I love Pixar, I think this partnership idea is ridiculous. What do Monsters have to do with Club Penguin? Eventually, Club Penguin will be called "Club Disney: With a few Penguins". What happened to their no in-game advertising? !